Steven Luzzi began his journey to success at his father's full service station in the 70's and since then he has understood the value of customer service. During his days as a young teenager, Steve chose to spend his summers waiting on cars on the pump islands, and learning about automotive repair. With the help of his father, he learned the key elements of running a successful business and in May of 1982, only twenty one years of age, ambitiously took over his own service station. He was young, but determined and from the very start he knew he was going to make it. After several years of hard work and overcoming adversity, Steve decided to become and independent owner, servicing a city he loved. He came to Downey in 1991 and found a shop of just the right size, making it his own. 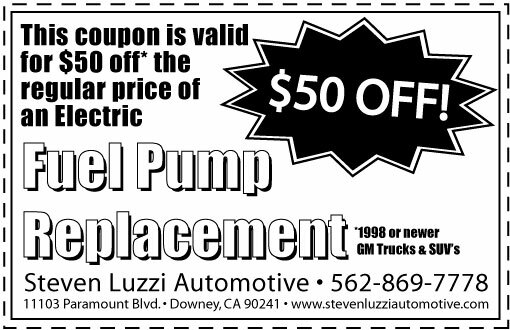 At Steven Luzzi Automotive we understand that the most challenging aspect of the automotive industry is keeping up with automotive technology and advancements. As a result, it has always been our goal to become better each and every day in this ever changing industry. In order to achieve this, we have dedicated ourselves to maintaining up to date repair and test equipment and employing experienced and highly skilled technicians, of which include men who have been in the industry since the 1960's. Here at Steven Luzzi Automotive, we pride ourselves on keeping the shop organized as well as maintaining a clean and safe work environment. We provide every customer with a full report of all repairs and services needed, and documents are kept of all services provided. Not only do we focus on giving the customer what they need, but doing so in an efficient and timely manner. 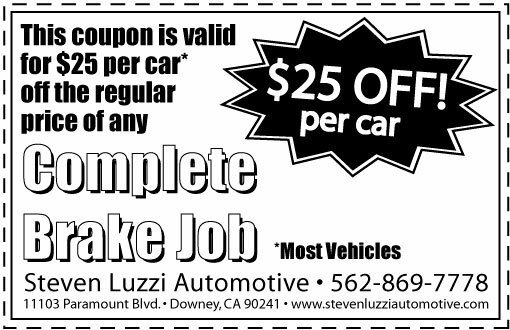 Steven Luzzi Automotive is dedicated to customer service and satisfaction, working to create trusting relationships with each and every client. 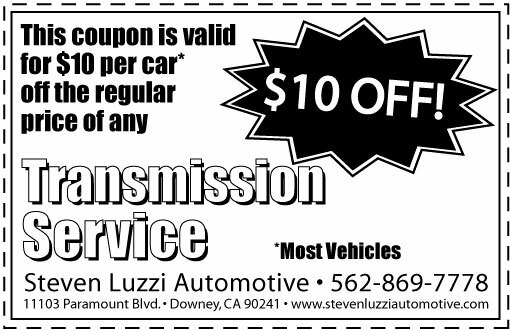 I, Steven Luzzi, and the rest of my crew hope to continue servicing Downey and providing auto owners with first class assistance. 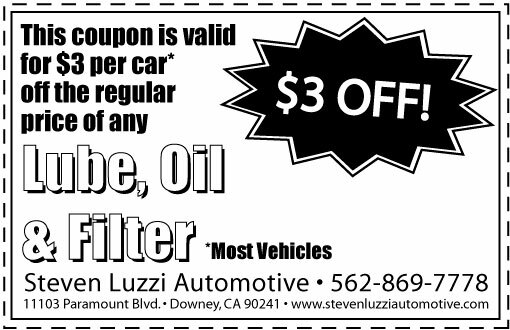 Steve purchased Pardella's Auto Center in October of 1991. 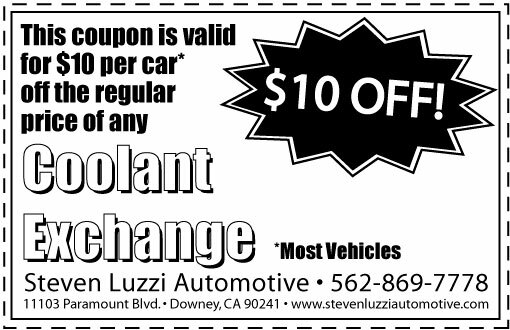 In July of 2009, he decided to finally change the name to Steven Luzzi Automotive. 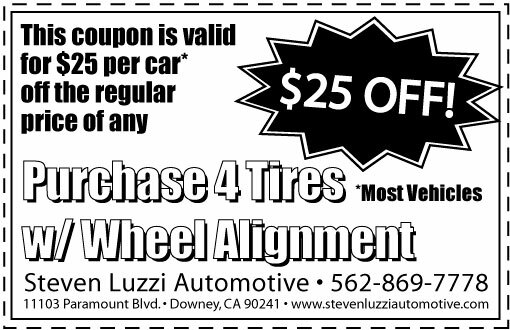 The bottom line is this - Steven Luzzi Automotive is the same Award Winning shop with the same great mechanics in exactly the same location. 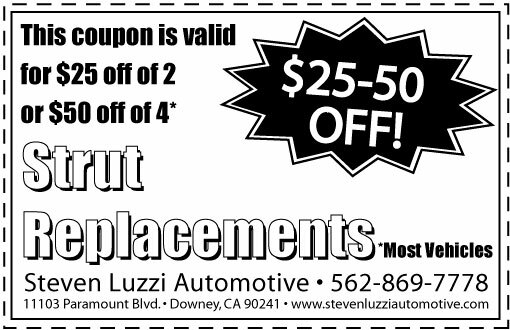 Call 562-869-7778 today in order to schedule your auto repair or stop by our shop: Google Maps link.